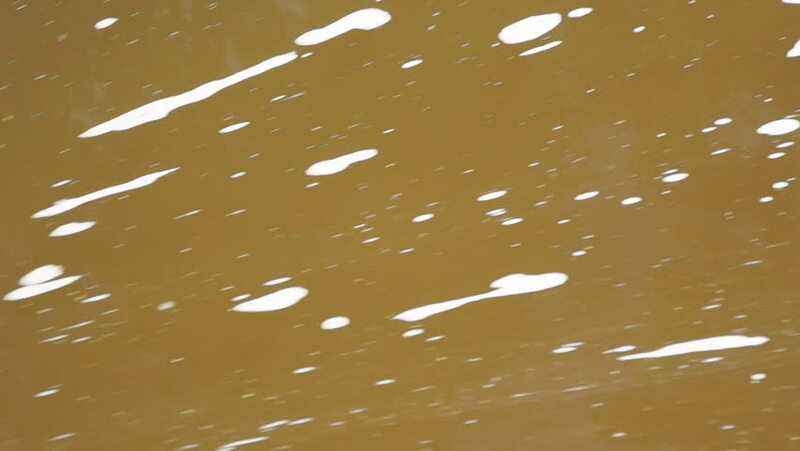 Spots of thin foam flow quickly by on brown floodwaters on the way over a dam in an abstract and mesmerizing way. 4k00:33Lake with swans. Aerial view. hd00:30Shining beach. Beautiful waves washed magical beach under the setting sun.